Bengaluru (Karnataka) [India], Mar 31 (ANI): Targeting Prime Minister Narendra Modi on PM-KISAN scheme, Chief Minister HD Kumaraswamy on Sunday said that only six families received the benefit of the scheme out of the list of 10 lakh farmers' families he has sent. Hassan (Karnataka) [India], Mar 24 (ANI): JDS MLA Shivaling Gowda on Saturday attacked BJP supporters for raising slogans in favour of Prime Minister Narendra Modi. Bengaluru (Karnataka) [India], Mar 24 (ANI): JD(S) national president HD Deve Gowda on Sunday said he will file his nomination from the Tumkur Lok Sabha seat, where sitting Congress MP SP Muddahanumegowda is also staking claim after the constituency was conceded to JD(S). 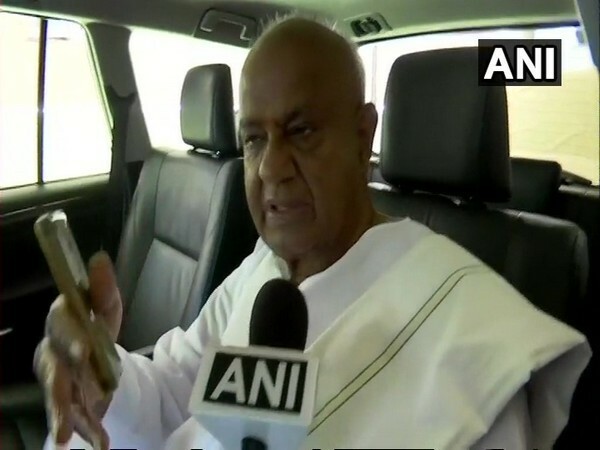 Bengaluru (Karnataka) [India], March 19 (ANI): Janata Dal (Secular) national president HD Deve Gowda on Tuesday criticised Prime Minister Narendra Modi for mocking the grand alliance of opposition parties and asserted that they will answer BJP by winning the elections. 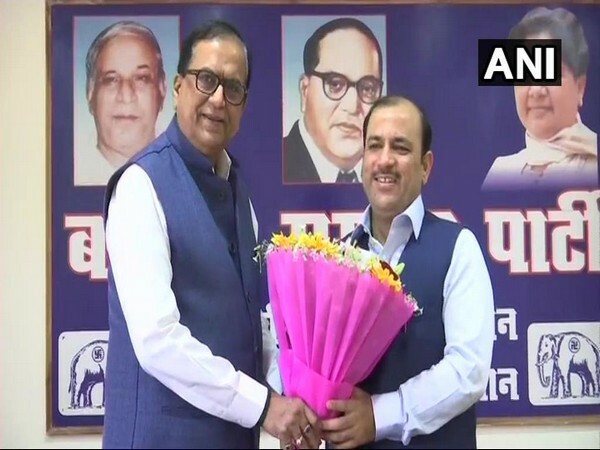 Lucknow (Uttar Pradesh) [India],March 16 (ANI): Danish Ali, who was the general secretary of the Janata Dal (Secular) until recently, joined the Bahujan Samaj Party (BSP) on Saturday. Bengaluru (Karnataka) [India], Feb 13 (ANI): The Karnataka Assembly witnessed uproar on Wednesday as the Bharatiya Janta Party (BJP) protested in the Well against the formation of SIT to investigate audio tape. Kolkata (West Bengal) [India], Jan 18 (ANI): Former Prime Minister and Janata Dal (Secular) supremo HD Deve Gowda on Friday said that "people of the country will answer to remove Modi government" in the coming Lok Sabha elections. New Delhi [India], Jan 16 (ANI): Asserting that there is no danger to the Karnataka government and the coalition will bring MLAs before public within 48 hours, Janata Dal (Secular) leader Danish Ali on Wednesday criticised the BJP government for trying to 'loot the public mandate'. Bengaluru (Karnataka) [India], Jan 16 (ANI): Karnataka Chief Minister HD Kumaraswamy on Wednesday said the Congress MLAs who are in Mumbai are constantly in touch with him and assured that the three legislators will come back. 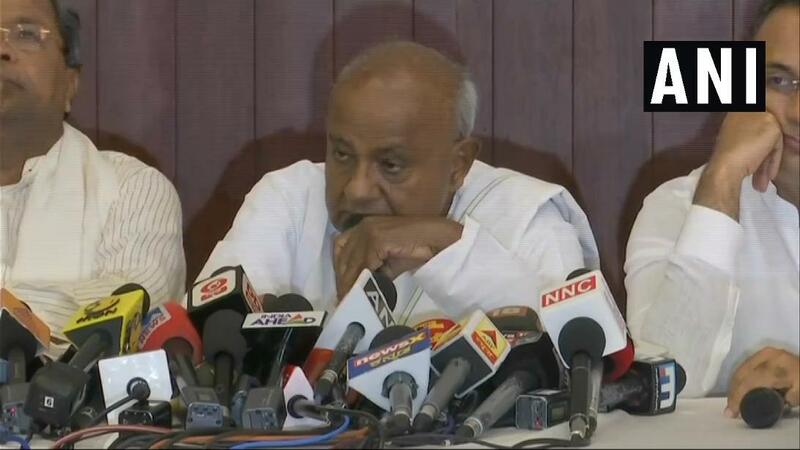 Bengaluru (Karnataka) [India], Jan 15 (ANI): Former Prime Minister and Janata Dal (Secular) president HD Deve Gowda on Tuesday said the perceived 'political crisis' in Karnataka was a just media hype. Bengaluru (Karnataka) [India], Dec 25 (ANI): Karnataka Chief Minister HD Kumaraswamy was at the centre of a controversy on Tuesday after a video went viral in which he is heard apparently instructing the police to "mercilessly" kill the assailants of a Janata Dal (Secular) leader Prakash. Bengaluru (Karnataka) [India], Nov 12 (ANI): Prime Minister Narendra Modi on Monday arrived at the residence of former Union Minister Ananth Kumar here to pay his tributes. The Bharatiya Janata Party (BJP) leader passed away in a Bengaluru hospital earlier today.